The lightweight aluminum frame and revolutionary structure make the canopy easily support itself with a superior strength-to-weight ratio. A single person can open and extend the canopy themselves, without flexing or distorting the structure like most instant canopies. The infinitely adjustable Cam Lock Levers allow you to set up the canopy in any position you desire. The legs glide in and out effortlessly, no other canopy extends or collapses as easily. The convenient shoulder strap carrying case makes SOLO, your #1 canopy choice for traveling events or day-out excursions. Feeling hot? 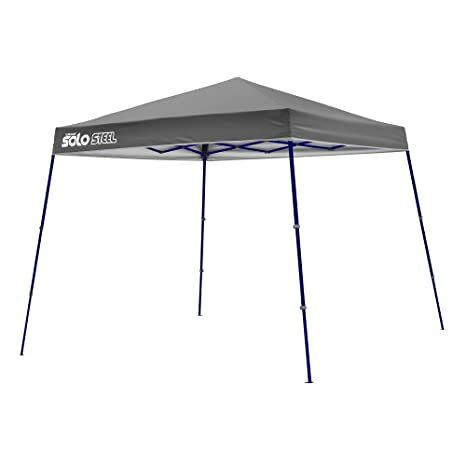 Get out of the sun and enjoy the summer weather in the shade with the Quik Shade Aero Shade Mesh 10-Foot x 10-Foot Instant Canopy with Rain Cover. It provides quick, easy shade and shelter with temperature reducing mesh panels for better airflow. The “cool mesh” center of the canopy provides an 80 shade region while keeping the inside of the canopy area up to 30 degrees cooler! 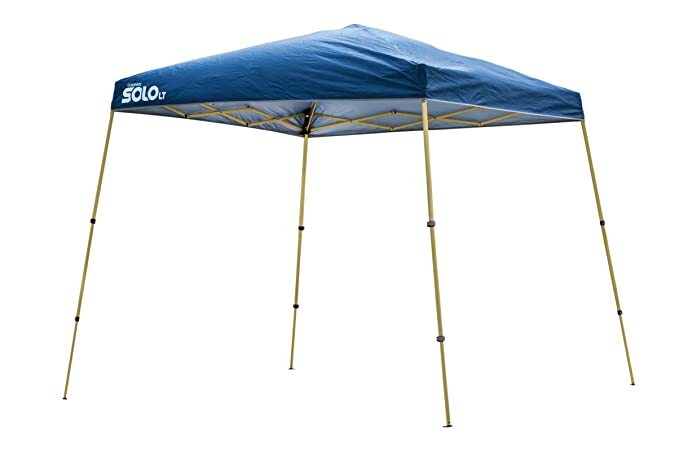 Designed for the outdoors, this canopy pops up wherever you need it in less than a minute – without the need for any tools. The UV-resistant top is Aluminex-backed, providing 99 UV protection from the sun’s harmful rays. It’s the highest outdoor fabric UV protection available! The straight leg design provides additional stability, with patented Quik Latch push/pull sliders and pushpin leg extenders designed for ease of use. 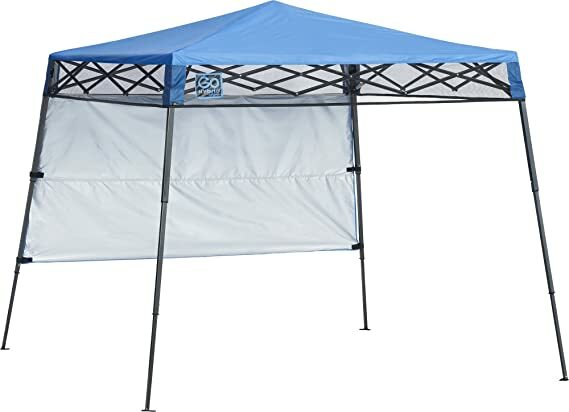 The 10-foot x 10-foot canopy top provides a total of 100 square feet of shade for 8-12 people – enough for the whole family to comfortably take shelter! This canopy has an open cathedral ceiling for more headroom, with a peak height of 9 feet 11 inches and an eave clearance of 6 feet 6 inches. Take it anywhere in the durable, polyester roller bag for your next outdoor event! Includes canopy frame, canopy top, removable rain cover, roller bag, and 4 steel stabilizing ground stakes; 1-year limited warranty. 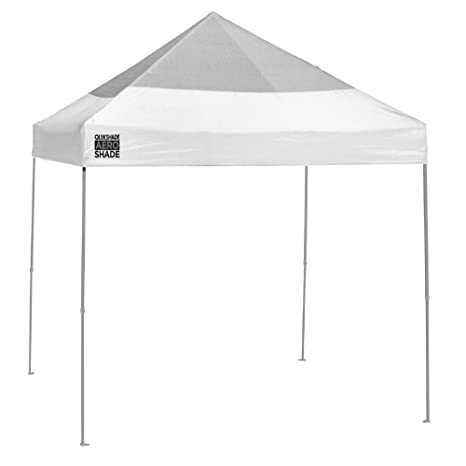 The 10 x 10 ft. straight leg Expedition canopy from Quik Shade provides up to 100 sq. ft. of shade. 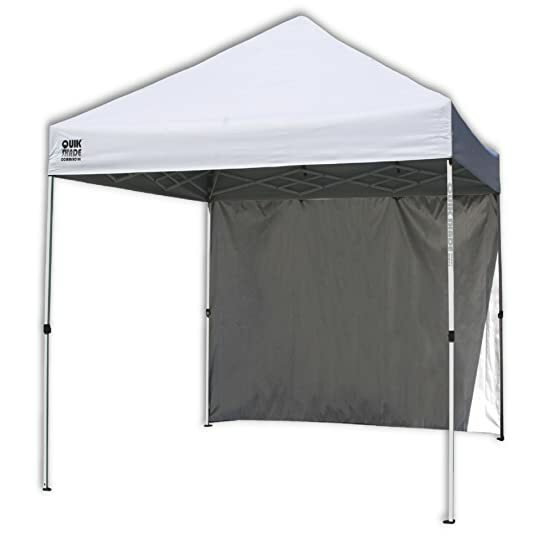 The perfect canopy for your next outdoor event, this unit offers three height positions and hardened thru-bolt assembly for a sturdy canopy unit. Patented overlapping eaves offer stability and the 150D polyester top with Aluminex gives you 99 UV protection. 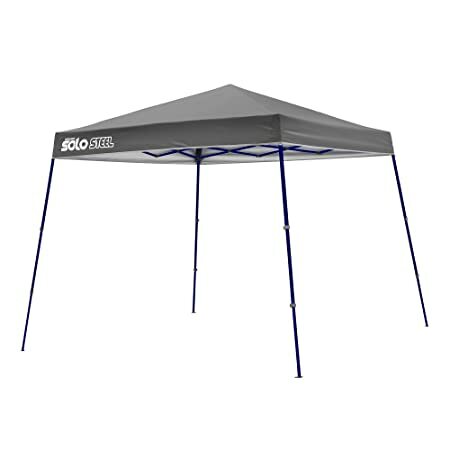 Set it up where you need shade at your next event, farmers market, sports event, and much more. 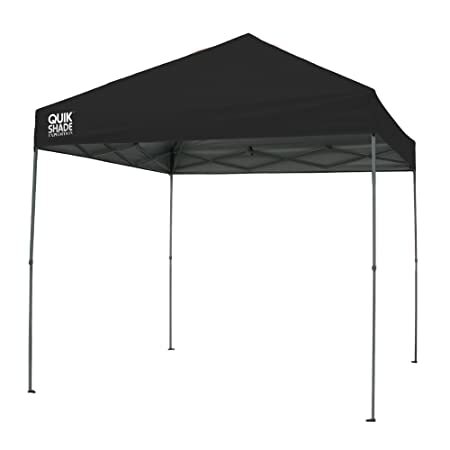 163456 Quik Shade Expedition 100" Team Colors 10’x10′. Get out of the sun without missing the fun! 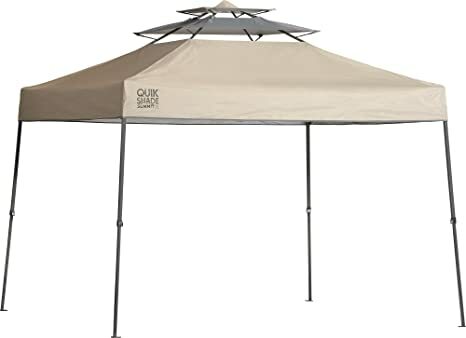 The Quik Shade Expedition EX100 10-Foot x 10-Foot Instant Canopy is a lightweight recreational shelter that assembles in less than a minute. The UV-resistant top is Aluminex-backed, providing 99 UV protection from the sun’s harmful rays. It’s the highest outdoor fabric UV protection available! The straight leg design provides additional stability, with patented Quik Latch push/pull sliders and pushpin leg extenders designed for ease of use. 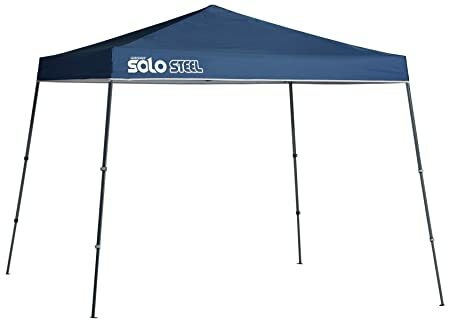 The 10-foot x 10-foot canopy top provides a total of 64 square feet of shade for 8-12 people – enough for the whole family to comfortably take shelter! This canopy has an open cathedral ceiling for more headroom, with a peak height of 9 feet 3 inches and an eave clearance of 6 feet 6 inches. Take it anywhere in the durable, polyester carry bag to all of your outdoor activities – sporting events, backyard parties, the beach, and much more! Includes canopy frame, canopy top, carry bag, and 4 steel stabilizing ground stakes; 1-year limited warranty. For fast and easy shade anywhere, the Quik Shade GO series has you covered! 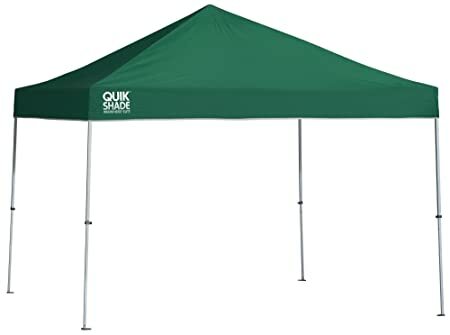 The Quik Shade GO Hybrid Compact 7.5-Foot x 7.5-Foot Backpack Canopy is a lightweight recreational shelter that assembles in less than a minute, folds down to less than 1 cubic foot, and only weighs 14 pounds. The UV-resistant top is Aluminex-backed, providing 99 UV protection from the sun’s harmful rays. It’s the highest outdoor fabric UV protection available! The slanted leg design provides additional stability, with patented Quik Latch push/pull sliders and pushpin leg extenders designed for ease of use. The 6-foot x 6-foot canopy top and half panel wall provide a total of 36 square feet of shade for up to 4 people – enough for the whole family to comfortably take shelter! This canopy has an open cathedral ceiling for more headroom with a peak height of 5 feet 10 inches and an eave clearance of 4 feet 5 inches. Take it anywhere in the durable, polyester backpack bag to all of your outdoor activities – camping, the beach, tailgating, or just hanging out in your own backyard! 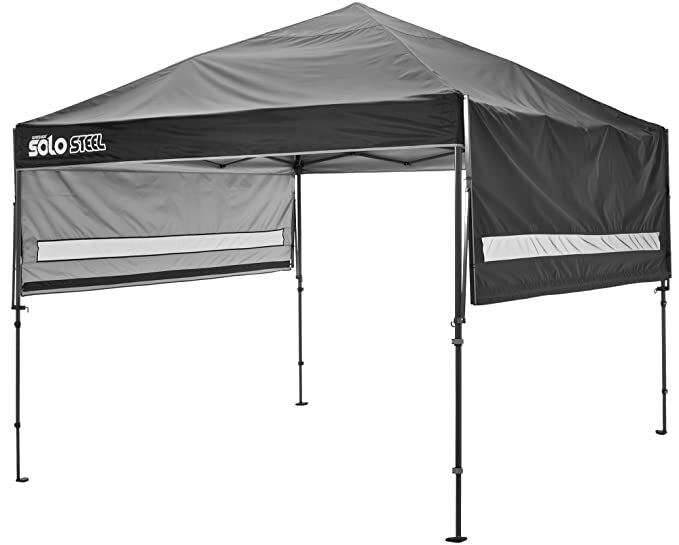 Includes canopy frame, canopy top, half panel wall, and backpack bag; 30 day limited warranty. Get out of the sun without missing the fun! The Quik Shade Commercial C100 10-Foot x 10-Foot Instant Canopy with Wall Panel is a lightweight recreational shelter that assembles in less than a minute. The UV-resistant top is Aluminex-backed, providing 99 UV protection from the sun’s harmful rays. It’s the highest outdoor fabric UV protection available! The straight leg design provides additional stability, with patented Quik Latch push/pull sliders and pushpin leg extenders designed for ease of use. The 10-foot x 10-foot canopy top provides a total of 100 square feet of shade for 8-12 people – enough for the whole family to comfortably take shelter! This canopy has an open cathedral ceiling for more headroom, with a peak height of 10 feet and an eave clearance of 6 feet 5 inches. Take it anywhere in the durable, polyester roller bag to all of your outdoor activities – farmers markets, sporting events, backyard parties, the beach, and much more! Includes canopy frame, canopy top, wall panel accessory, roller bag, and 4 steel stabilizing ground stakes; 1-year limited warranty. Get out of the sun without missing the fun! 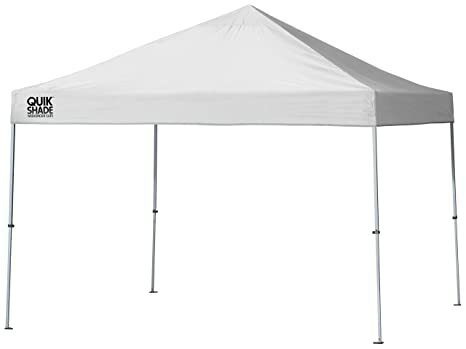 The Quik Shade Summit SX100 10-Foot x 10-Foot Instant Canopy is a lightweight recreational shelter that assembles in less than a minute. The UV-resistant top is Aluminex-backed, providing 99 UV protection from the sun’s harmful rays. It’s the highest outdoor fabric UV protection available! The straight leg design provides additional stability, with patented Quik Latch push/pull sliders and pushpin leg extenders designed for ease of use. The 10-foot x 10-foot canopy top provides a total of 100 square feet of shade for 8-12 people – enough for the whole family to comfortably take shelter! This canopy has an open cathedral ceiling for more headroom, as well as 2 Super Vents at the top for superior air flow, with a peak height of 10 feet and an eave clearance of 6 feet 5 inches. Take it anywhere in the durable, polyester roller bag to all of your outdoor activities – farmers markets, sporting events, backyard parties, the beach, and much more! Includes canopy frame, canopy top, roller bag, and 4 steel stabilizing ground stakes; 1-year limited warranty.